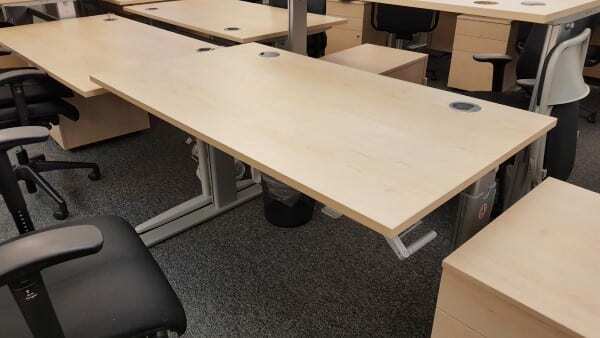 We have a large quantity of Height Adjustable Sit Stand Desks available in 1200, 1400 & 1600mm widths with a choice of finishes to choose from (maple shown). You can view these products in more detail by clicking on any of the images shown. 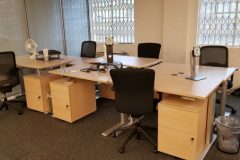 If you would like further information about these products, including cost and delivery options, you can get in contact with one of our sales team by calling 07944 508282. If you are viewing our website using a mobile device you can also click on our telephone icon shown at the bottom of the page. 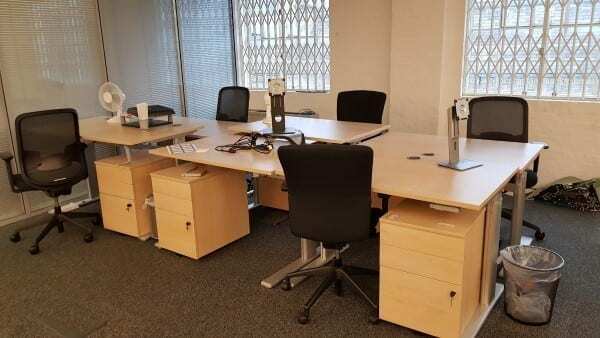 Or, simply enter your details in our Request a Quote Online Form and one of our sales team will be in touch very soon. 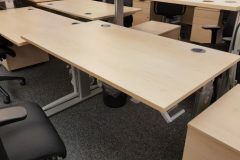 If these desks are not exactly what you are looking for, we have an extensive range of Second Hand Office Desks currently in stock, which you can view by clicking on the link provided. 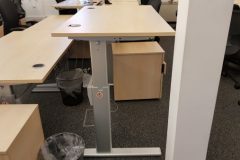 Manual height adjustment ranging from 680 – 1100mm. 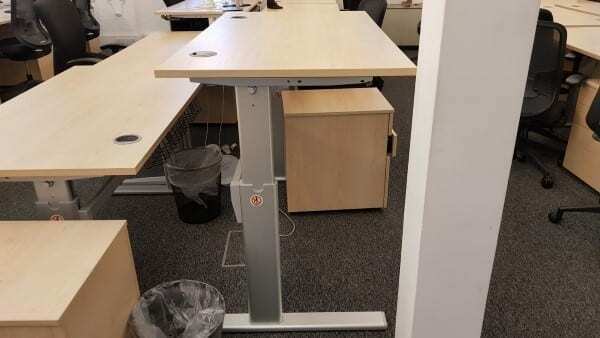 Extendable beam meaning various size tops are available for these desks.